First edition of this selection. The copyright is assigned for the year 1973 to the Science Fiction Writers of America. The copyright of the translations is assigned for the year 1978 to the publisher. "Printed in Germany 1978" is stated on the copyright page. 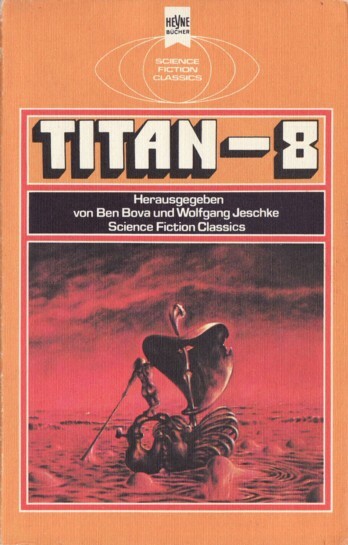 It's 'Titan-8' on the cover, but 'Titan 8' on spine and title page. Cordwainer Smith's novelette ends on p. 140, p. 139 is the last numbered page. The tabe of contents appears on p. 5. The cover design ("Umschlaggestaltung") is credited to Atelier Heinrichs. Month of publication from "Science Fiction Times #145".